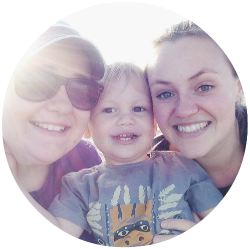 This Summer our aim was to do as much as possible during our weekends to make sure M had the best Summer possible before starting school. 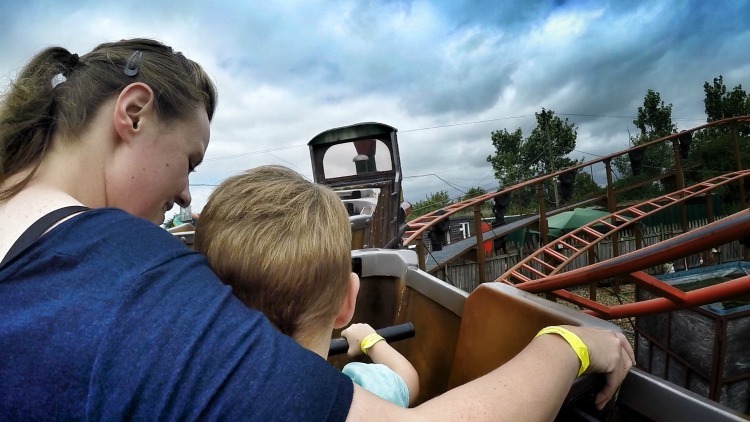 My Mother in law kindly gave us some vouchers for some days out this year and we decided to use them on two trips to Adventure Wonderland, Bournemouth. 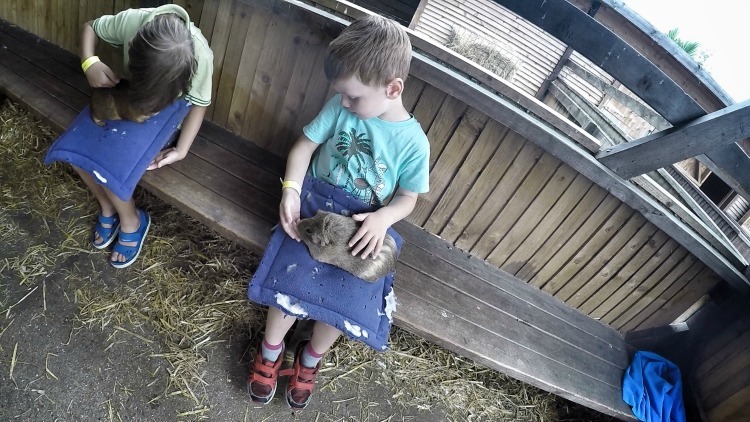 Adventure Wonderland is only about 30 minutes from our house, yet we’d never been before. One of M’s little preschool friends often told him fun stories about going to Adventure Wonderland, so we knew it was somewhere M was desperate to visit. Adventure Wonderland is themed around Alice in Wonderland and you are greeted by characters from the books as soon as you arrive. M is not a huge fan of large children’s characters, we we gave them a wide birth, but as soon as we passed them his little eyes lit up. Every ride was perfectly sized for M, he had no worries about not being tall enough for the rides and as long as he wished to ride them, he was able to get on them. All of the rides had short or almost no queues and lasted between 2-5 minutes approx. The park is small which is great for little legs as we were able to access all the rides easily. We took our own picnic to eat on our first visit and bought M a little kids picnic pack from the cafe on our second visit. 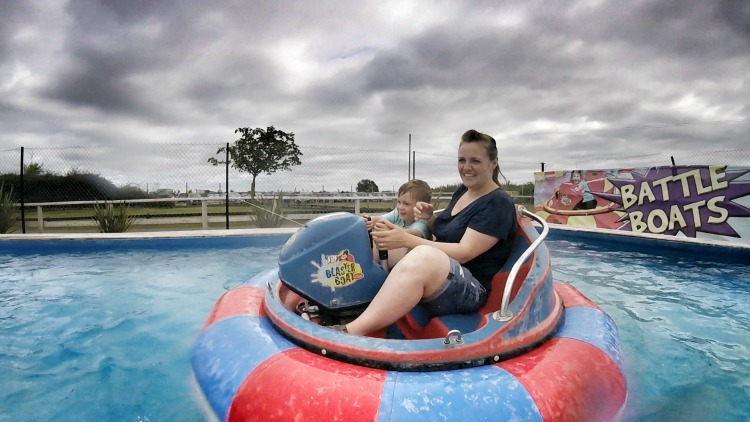 The cafe is situated next to a giant indoor soft play, which is perfect if a rainy shower appears during your visit. 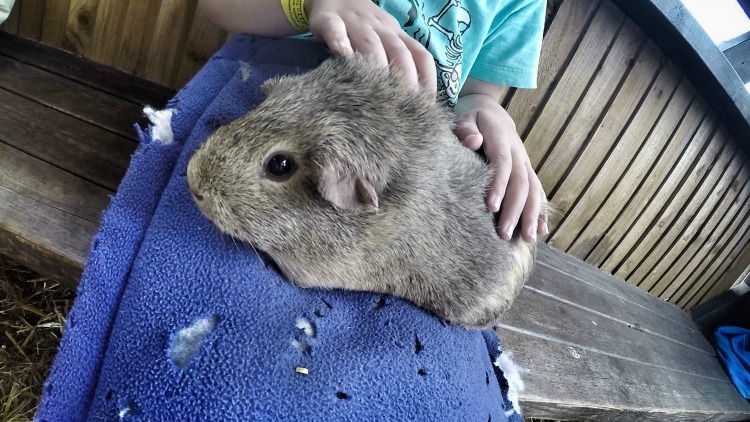 If you want a break from the rides there is an adorable cuddle corner where your children can cuddle a guinea pig or for £2.50 per child, they can have a pony ride. 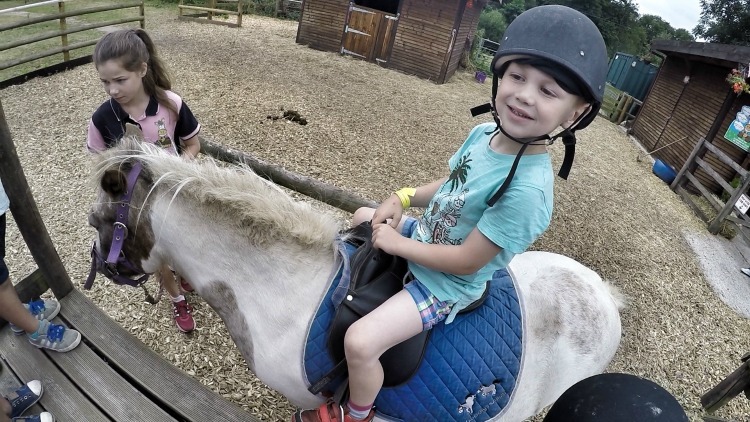 It was the first time M ever rode a pony, so we were slightly emotional watching him climb onto the Pony and say “Don’t worry I will be ok”. Now I am not a huge fan of theme park rides, though all at Adventure Wonderland fall in the tame category. 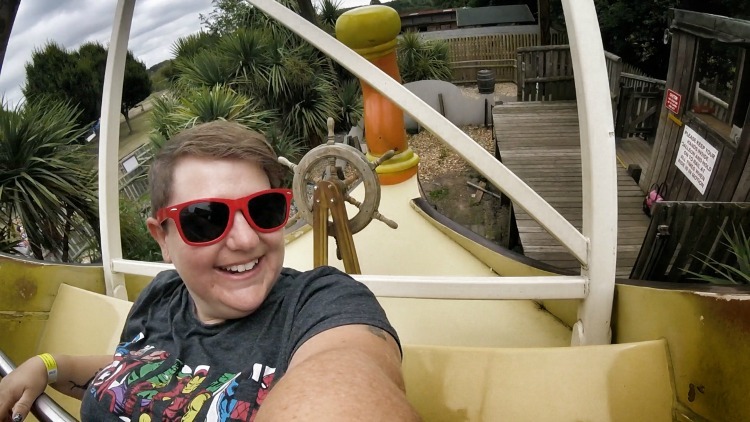 But there is one ride I love which is the Boat ride. I love the feeling, a bit like being on a giant swing. Sadly M didn’t fancy riding it so I went on my own, but I still had fun. 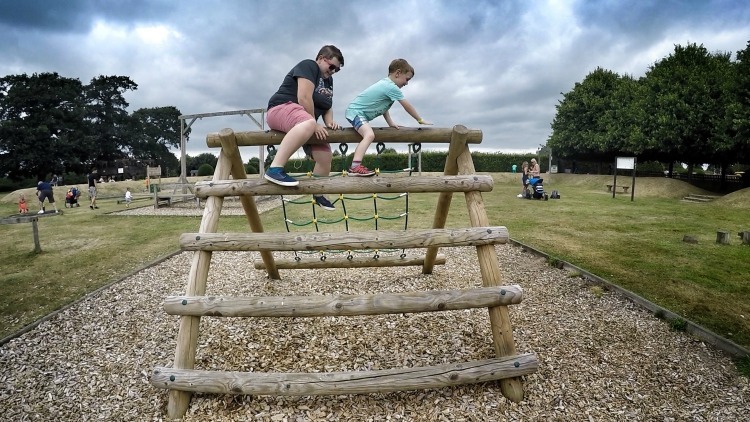 Towards the back of the theme park is a play area where you children can climb and jump and run off all the energy from their theme park treats. Next to the park is a giant maze which we attempted but got lost until we found the fire exit, M (I) freaked so we made a sneaky escape. Our final ride rounded of our time at Adventure Wonderland well. 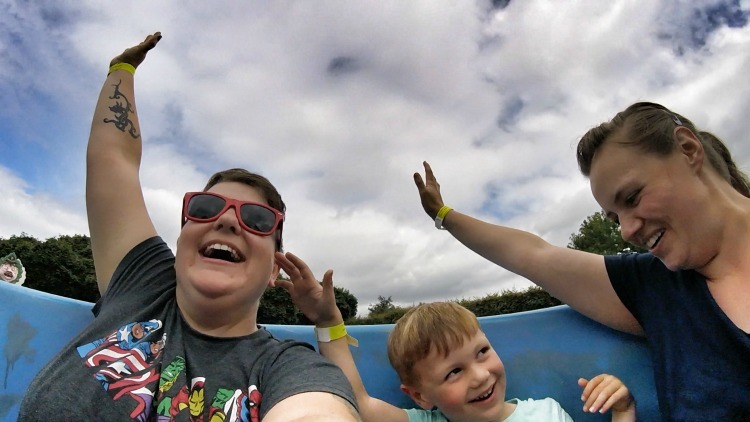 It just wouldn’t be a trip to a theme park without a go on a tea cup ride, not sure M was convinced but we loved it. 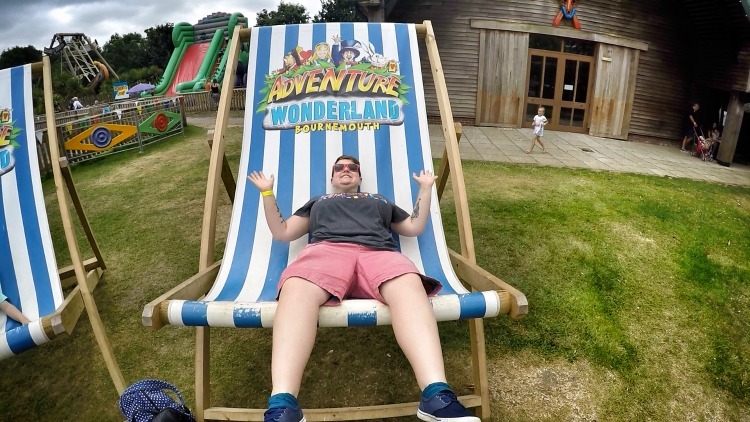 If you find yourself in the Bournemouth area with nothing to do, give Adventure Wonderland a visit. It’s the perfect theme park for 3-8 year olds.